If you’re saddled with a traffic ticket, you might not want to simply pay it and be on your way. Paying the fine is the same as admitting guilt, and this can work against you. Going to court and fighting a traffic ticket isn’t necessarily as difficult as many people make it seem. When you get a ticket, consider these proven strategies to potentially get your ticket dismissed. The easiest way to explain a mistake of fact is to look at examples. If you were ticketed for crossing a double yellow line on a road, but the road was old and the lines were so worn down that it was impossible to see them, this would be a “mistake of fact” argument. Or, if you were ticketed for not stopping at a stop sign because vandals had recently removed or painted over the sign. In some cases, you may be able to argue that your driving behavior was justified in a particular circumstance. For example, if you were ticketed for speeding but were rushing to the hospital after a family member was admitted to the emergency room, your speeding may be justified. Many tickets are issued based on a police officer’s opinion. 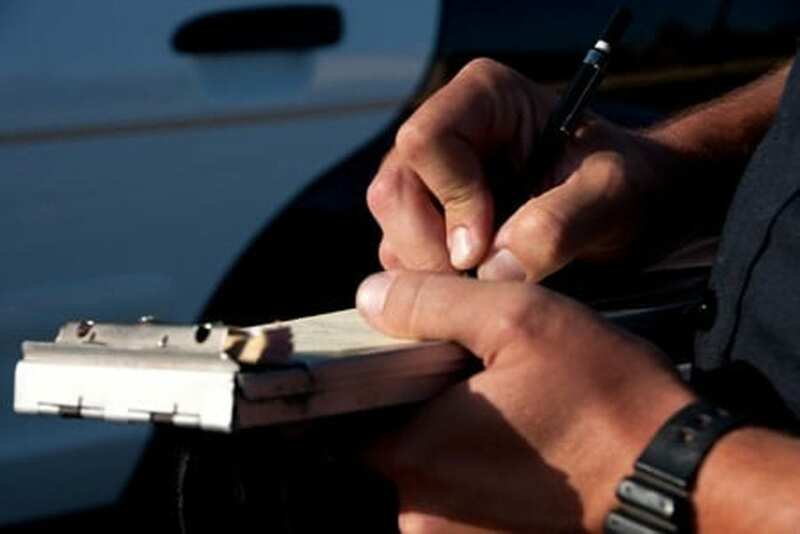 For example, if you were ticketed for reckless driving, the police officer will have to write down why he or she thought your driving behavior was reckless. Or, if you were ticketed for speeding in an area without clear speeding signs, you may be able to argue that you were driving at a safe speed. In the absence of video evidence, you may be able to challenge the officer’s judgment — was the officer coming off a late night shift? Is there any reason to believe that the officer was mistaken about what happened before you were pulled over? If you were ticketed for evading a police officer after being signaled to stop, but you were simply driving to a safe, well lit, and public area to pull over, you may be able to argue that you were doing so in order to prevent harm to yourself. Another example would be swerving into the other lane in order to avoid hitting a bicyclist or pedestrian on the side of the road. If the officer has presented evidence against you, find out if you can present your own evidence. Witness testimonies or even video or photo evidence that show you were not engaging in the illegal driving behavior you were ticketed for may be enough to have the ticket discharged. Get help fighting a traffic ticket from an experienced attorney in order to protect your driving rights and your freedoms. Contact the Kimbrel Law Firm today for a consultation at 770-349-9219.